Reading your essay, it occurs to me that we may be able to move some of your points (e.g., about the scope of our sources in the footnote, or about how the sources do not necessarily tell us about runaway patterns), into a more general introduction to the whole project. That would allow you to focus more intently on the main issue in this post about the similarity of Texas to other states. 1. Consider shortening your paragraphs by breaking them at logical turning points. Especially on the Web, readers usually prefer short paragraphs to long ones. 2. 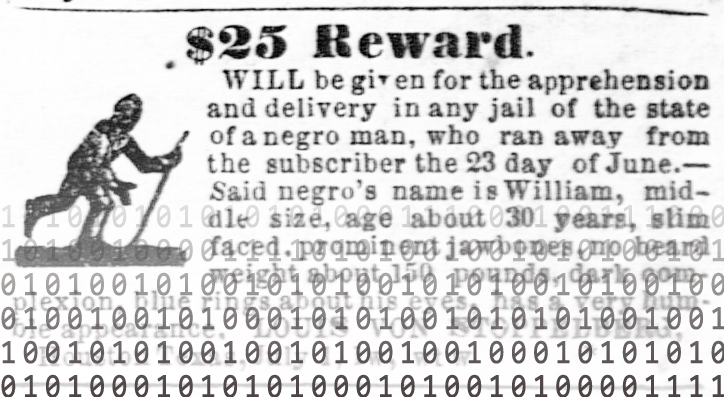 Consider providing hyperlinks when you can—for example to the Documenting Runaway Slaves project, or to the ads you quote. This again will play to Web readers’ expectations of what they can expect when reading online.